The great thing about yoga is the fact that there is always room for growth. If beginner and intermediate yoga has become a cinch, it is time for you to challenge your body with advanced yoga. This will require far more strength and flexibility, but at the same time it will deliver tremendous results. Signing up for advanced yoga classes can help you learn the proper techniques and poses from an expert instructor. Without proper guidance, you can actually do more harm than good. In addition, having a trainer or instructor will help to push you to the limit. Once you have taken some lessons and gained the knowledge needed from an instructor, you can then take this to your home. As with anything in life, practice makes perfect with yoga. By practicing what you have learned at home, you will be much more prepared for the next lesson. Some people prefer to learn at their own pace. 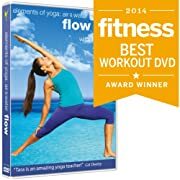 The good news is there are countless DVD’s and yoga web sites full of useful information and tips. 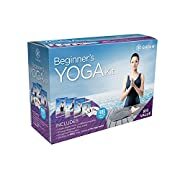 This will allow you to learn advanced yoga poses and techniques on your own time wherever you prefer. Just make sure you are ready for the advanced stages of yoga as it is far more challenging. From the poses to the breathing techniques to the meditation, advanced courses present a challenge unlike anything else you have seen thus far.